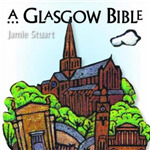 Written in the Glasgow vernacular, this work is compiled from new Auld Testament stories woven into "Auld Testament Tales", as well as a complete re-edited version of "Glasgow Gospel". The author has also written the popular "A Scots Gospel". Money, power, marriage, friendship, health, sleep, jealousy, war, peace, eternity: here is the ancient wisdom of Solomon in the 21st-century language of the Scottish patter. Full-to-the-brim with pithy wisdom, this expressive book will appeal to all who enjoy the richness of the Scots tongue.